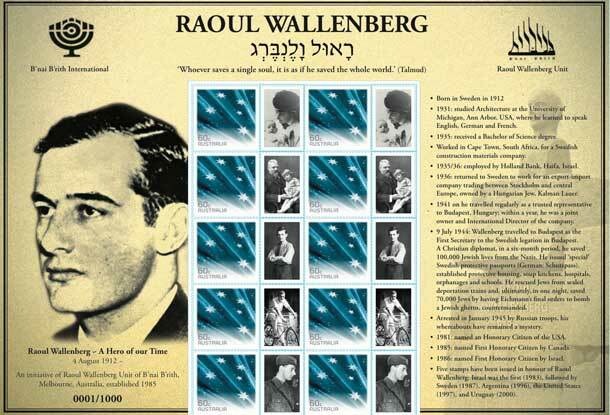 Melbourne’s B’nai B’rith Raoul Wallenberg Unit recently issued stamps commemorating the memory of the war hero selling them around the world…including to a collector in Raoul Wallenberg St, Haifa. 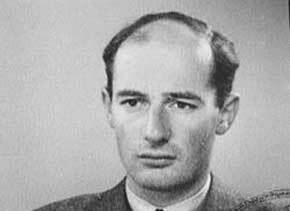 The Swedish diplomat was responsible for saving the lives of thousands of Jews in Budapest between July and December, 1944. He issued protective passports and housed Jews in Swedish owned buildings in the Hungarian capital. In January 1945, he went missing when held in detention by the Russians and was never seen again. 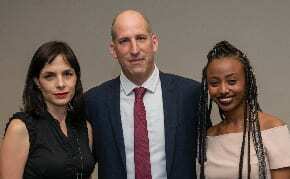 Melbourne’s B’nai B’rith Raoul Wallenberg unit has worked with Australia Post and Max Stern & Co, the city’s leading stamp dealer, to produce a specially designed stamp sheet and envelope set in honour of Wallenberg, commemorating the unit’s 25th anniversary.